Debra “Deb” Higgins Clyburn, 62, wife of Frank Clyburn, of Taylors, died Tuesday, February 12, 2019. Born in Pleasanton, CA, she was a daughter of Kathleen Cavanaugh Higgins and the late David Higgins. Deb was a family nurse practitioner for Prisma Health, Upstate, who devoted her life to women’s health for over 35 years. She earned two Masters degrees from Clemson University. In addition to her mother and loving husband of 42 years, Deb is survived by two daughters, Erin Morgan (Jeremy) and Cara Ruffman (Matt); a son, Matt Clyburn (Mandy); seven grandchildren, Madelynn and Isabella Morgan, Jonas, Carter, Eva, and Maisie Clyburn, and Callie Ruffman, and one grandchild on the way, Charlee Ruffman; a sister, Becky Higgins; two brothers, David and Sean Higgins; and her beloved dog, Rudy. Recitation of the Rosary will be held Sunday, February 17, 2019 at 4:00 p.m. at Thomas McAfee Funeral Home, Downtown, with the visitation following until 6:30 p.m. The funeral service will be held Monday, February 18, 2019 at 12:00 p.m. at Thomas McAfee Funeral Home, Downtown. Burial will be held in Woodlawn Memorial Park. 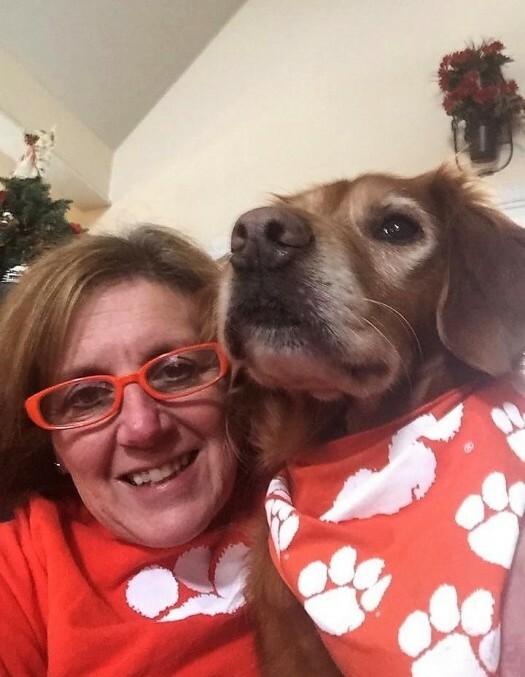 In honor of Deb’s devotion to her University, guests are encouraged to show their Tiger spirit and wear orange. Memorials may be made to March of Dimes, 37 Villa Rd., Suite 317, Greenville, SC 29615, or Foothills Golden Retriever Rescue, P.O. Box 9077, Greenville, SC 29604.